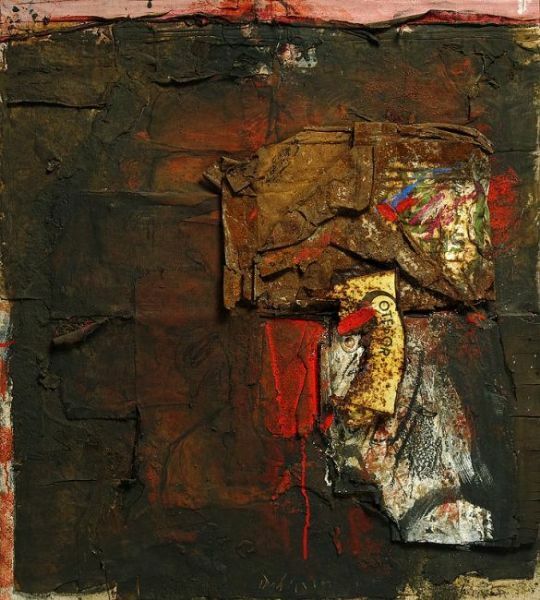 Karl Fred Dahmen (born in 1917, Stolberg; died in 1981, Preinersdorf) was a German painter and draftsman, as well as a creator of prints and objects. 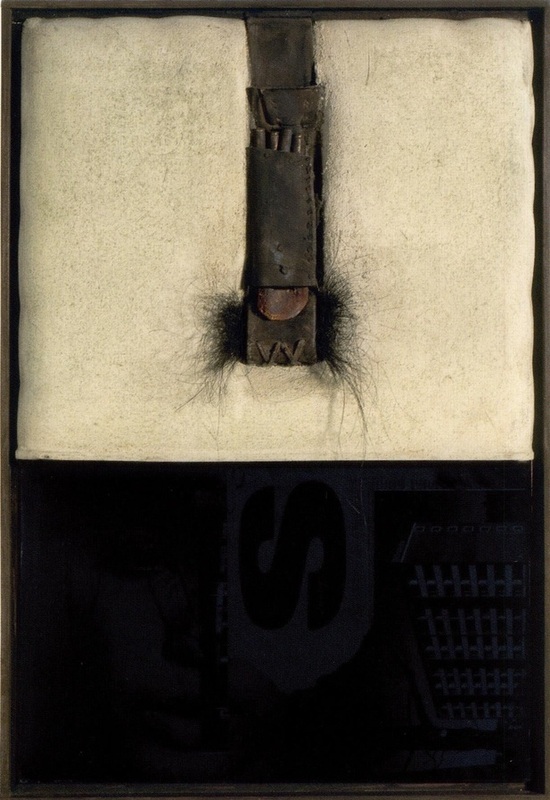 He represented the ‘Informel’ and ‘Tachisme’ art movements. He completed his education at the School of Applied Arts, Aachen and an apprenticeship in advertising art. 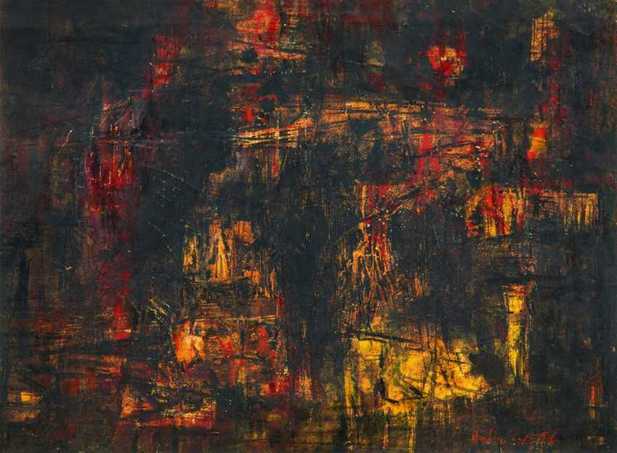 In 1945, he undertook a short course of study at the Düsseldorf Art Academy. 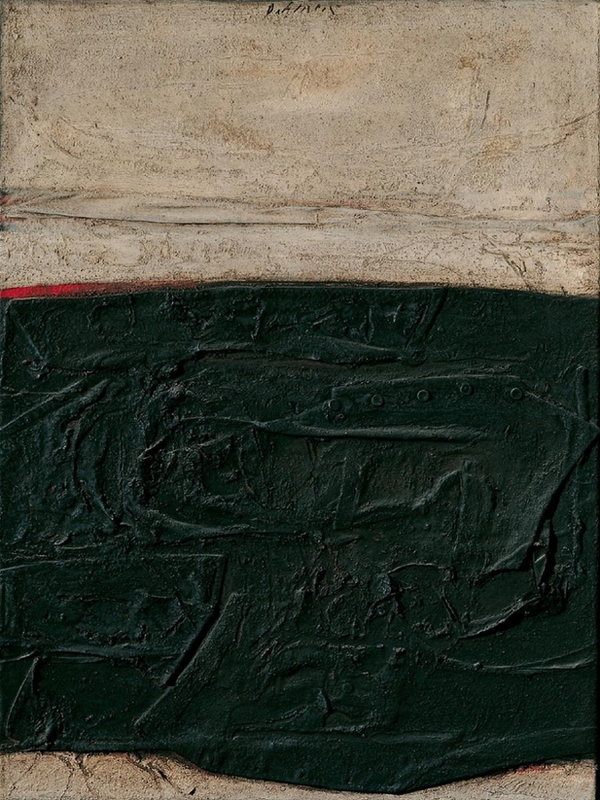 In 1950, he participated in an exhibition with the group »Junger Westen.« Beginning in 1951, he spent regular periods of time in Paris.He created abstract-expressive paintings of tectonic structures. 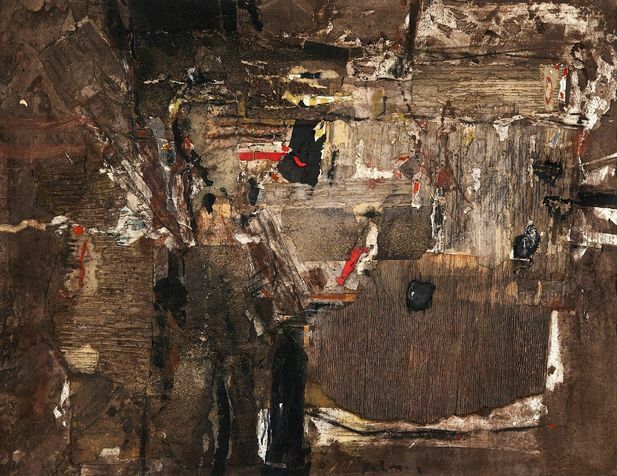 From 1956 onward, he produced dark-toned, informal paintings and collages with relief work. 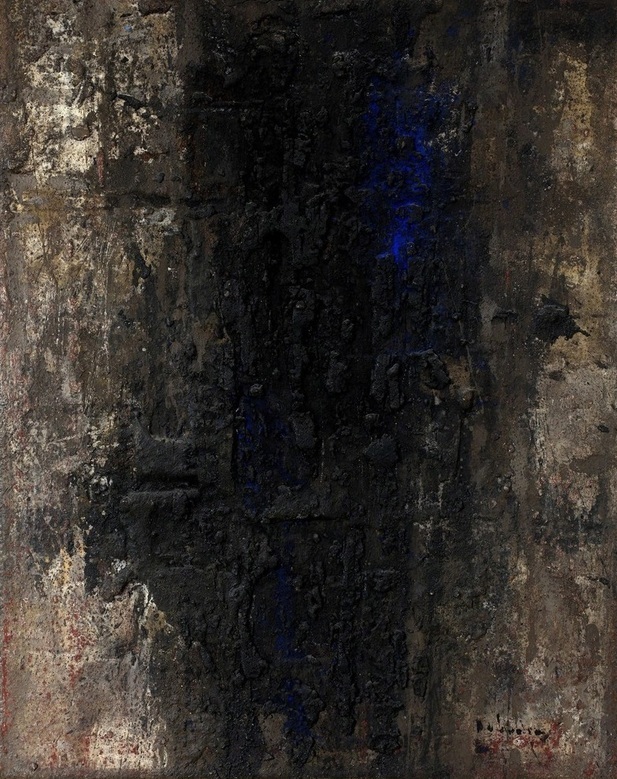 These pieces evoke a natural landscape damaged by strip mining. After 1960, Dahmen lived more extensively in Ibiza. 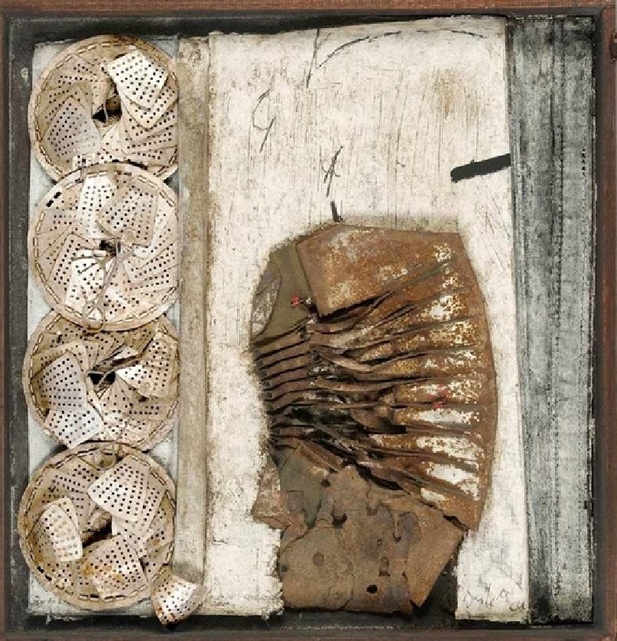 He began to create his ‘Objectkasten’ with found objects and his so-called ‘Polsterbilder’ in 1965. 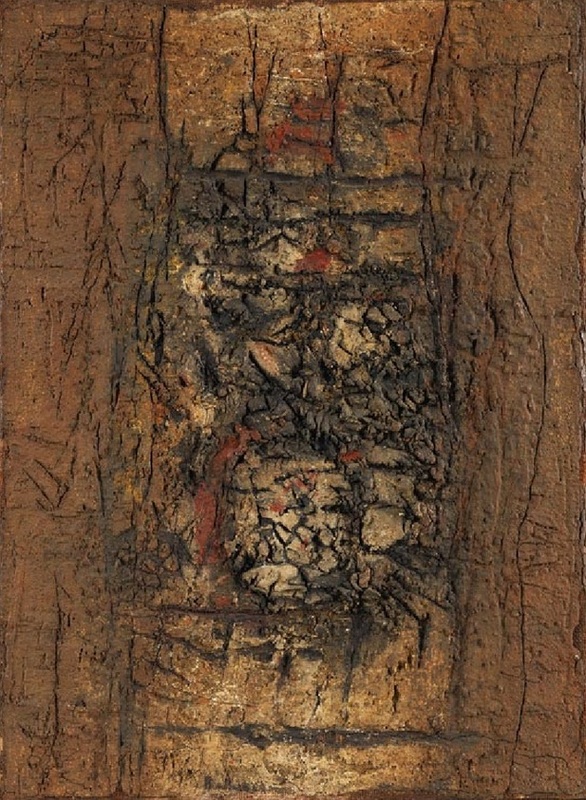 From 1967 to 1981, he held a professorship at the Academy of Art in Munich and resided in Preinersdorf from 1978 onward.